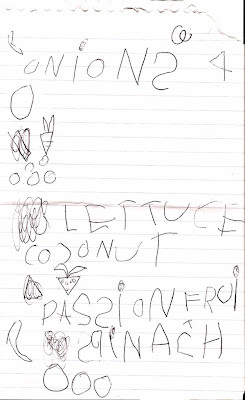 Miss 5 helped to write out the shopping list before we went off to the markets. it must be turned into a stitchery and hung in the kitchen. I also think Kate's idea is wonderful! That is very cute! I particularly like her strawberry. I agree about the stitchery, perhaps you could present it to her on her 21st! Christine (seedling@DTE)PS. LOVE your blog!